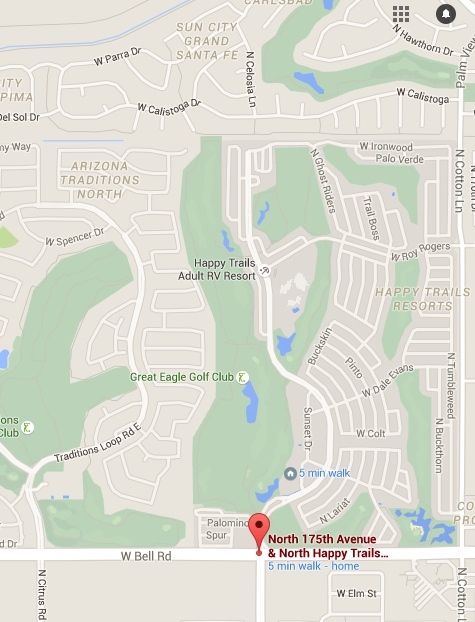 The Happy Trails Pickleball Club is where the sport got started in the southwest, building the first pickleball court in early 2000. Today there are over 500 members! We have 14 dedicated courts, 9 of them lighted for night play. Lessons are available from beginner to advanced every Monday morning, taught by experienced tournament players led by Nationally Ranked Champion Bob Youngren. 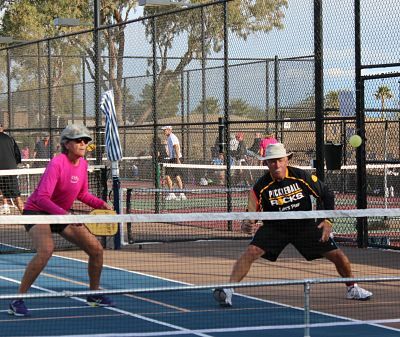 Recreational and competitive play is available every day, with round-robin play, and 2.5 to 5.0 skill play including women, men and mixed doubles groups throughout the week. 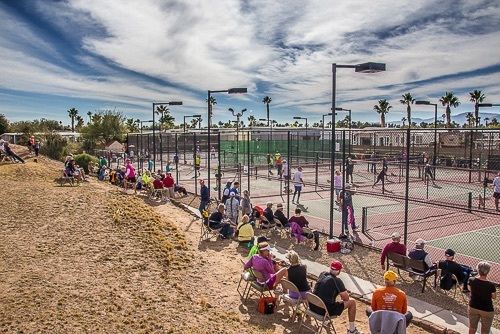 The club sponsors the popular USAPA sanctioned Happy Trails Classic Tournament every January, one of the oldest and friendliest tournaments for seniors in the southwest. 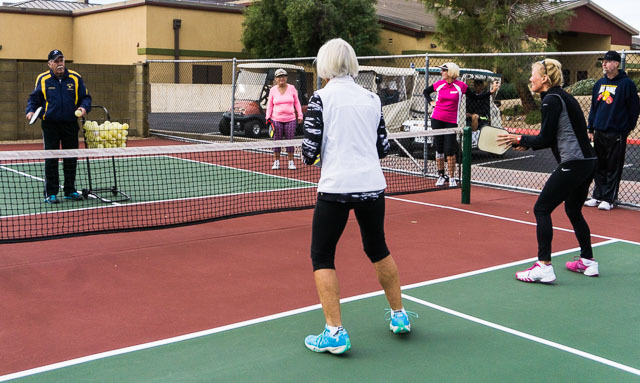 Pickleball is all about fun and exercise, so we have just-for-fun events as well as several dances, dinners, breakfasts and potlucks every season. Come and join the fun!! 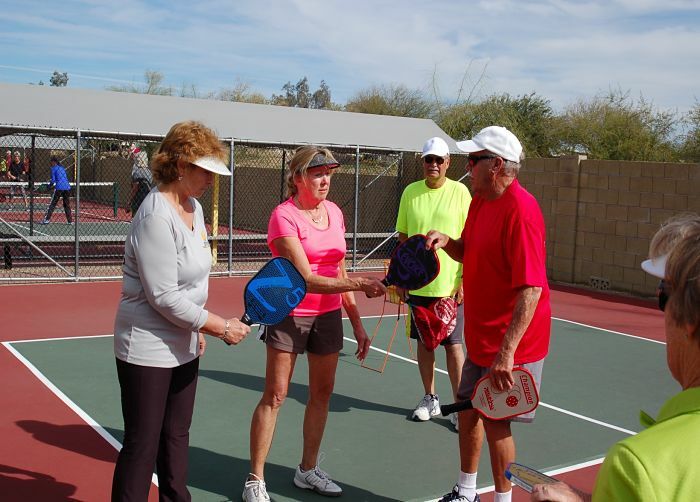 Visit the Happy Trails Pickleball Club official website. 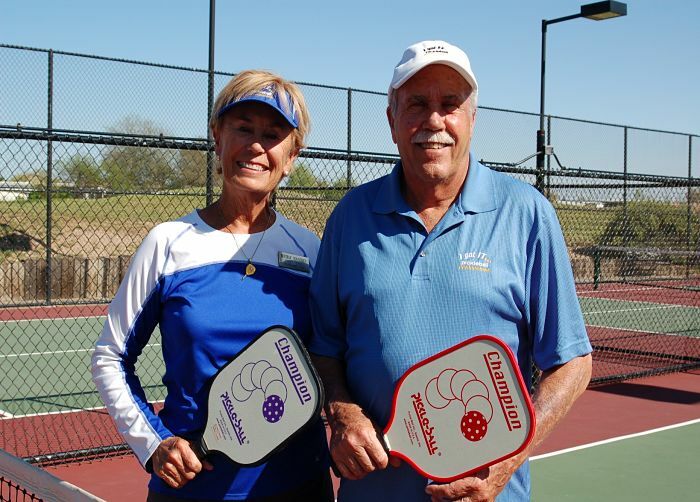 Learn to play or improve your game with Monday morning lessons organized and led by Champion Tournament players Bob and Bev Youngren. Get personal attention from one of our instructors.